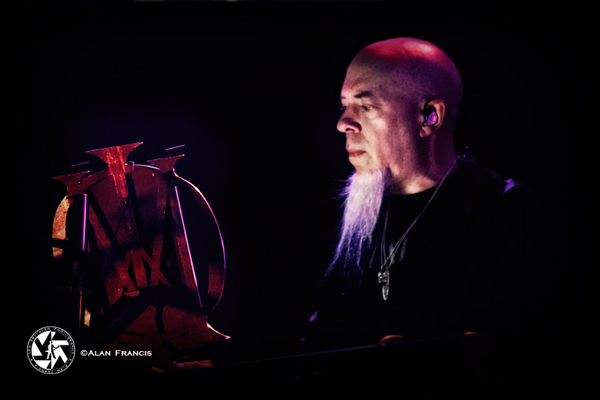 Dream Theater – Miller High Life Theater, Milwaukee WI. March 31, 2019. It’s 7:00 o’clock on a Sunday evening, the start of Chapter 1 in this 2 part musical journey unfolds with a futuristic video playing on a huge screen behind the stage. 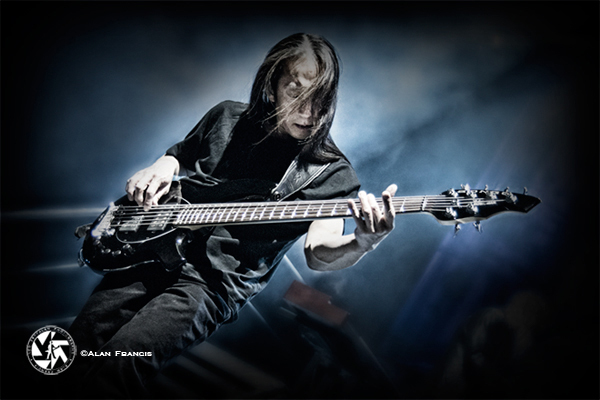 Band members John Petrucci (guitars/backing vocals), John Myung (bass), Jordan Rudess (keyboards), and Mike Mangini (drums) take the stage, playing the opening notes from the bands newest single and show opener, ‘Untethered Angel. 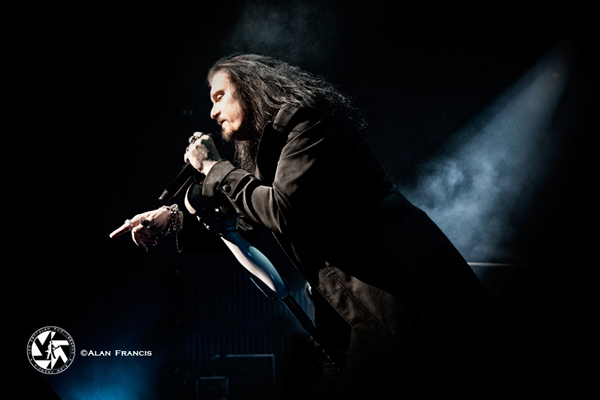 Soon vocalist James LaBrie makes his entrance, grabbing the custom ‘Distance Over Time’ mic stand and joining in with the rest of the band, complementing the brilliant musicianship of his band mates with his dynamic vocal range. After a 15 minute intermission, it’s time to open Chapter 2 of the evening, which celebrates the 20th anniversary release of the epic album and crowd favorite, ‘Metropolis Part 2: Scenes from A Memory.’ The opening sounds of a clock ticking and a count down leads into the serene ’Regression’ with Labrie on vocals, accompanied by Petrucci on acoustic guitar. 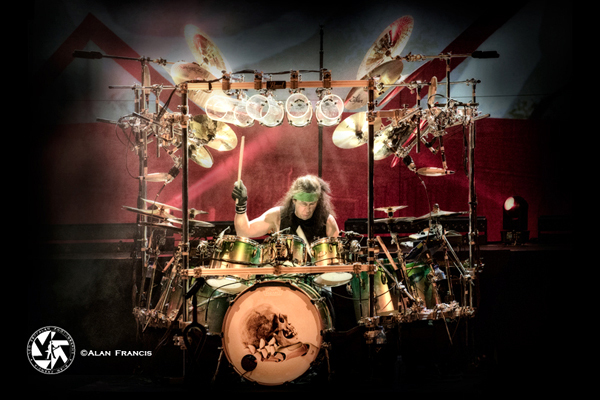 This paves the way for the heavier sounding and melodic ‘Overture 1928,’ with every crying note of Petrucci’s emotional guitar solo shooting like a shower of arrows straight to the heart. Not to be outdone, throughout the set, Rudess follows with a phenomenal display of keyboard skills, swiveling and tilting his keyboards like a dancer going through her seamless routine, coupled with Myung’s intricate bass lines and Mangini’s thunderous drums, both providing a solid foundation, LaBrie joining in with his vocals. To the delight of every Dream Theater fan present, the band plays the album in its entirety. From the vocally soulful ‘Through Her Eyes,’ and personal album favorite ‘Home,’ the band and crowd are energized at this point. The show has started to take an upward spiral with excited fans headbanging, fist pumping, and singing from every corner of the venue, almost 13 minutes of sheer musical heaven. The band having delivered an awe filled evening fueled by a virtuoso display of technical brilliance and musical talent, took their curtain call before exiting the stage, leaving fans with a night to remember. Thanks to the unsung heroes: the hard working managers, crew, techs, lights, sound, etc. for a job extremely well done.